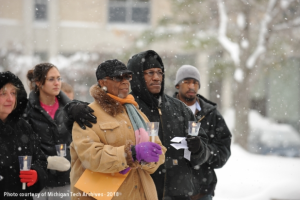 An MTU Lode article about Martin Luther King Jr. celebrations in 2003. Martin Luther King Jr. Day 2019 will be observed on Monday, January 21. This year, Michigan Tech is celebrating 30 years of the annual Dr. Martin Luther King Jr. Celebration Banquet and MLK Week under the theme of “Living Fearlessly.” Today’s Flashback Friday honors Michigan Tech’s tradition of celebrating MLK in creative and inclusive ways. The tradition of formally recognizing Dr. King was started by campus leaders in the late 1980s and has taken many forms over the years. The banquet and reading of speeches have been important components since the early years of the celebration, but there have also been art installations, discussion groups, campus and community marches, and other enriching outreach and service activities throughout the history of Tech’s MLK celebrations. Staring on Sunday, January 20, the Center for Diversity and Inclusion, along with campus and community partners, will kick-off an entire week of activities planned to honor King’s legacy and remember his activism and leadership. Programming begins with a community-wide gathering and panel discussion at the Good Shepherd Lutheran Church called “Let’s Talk About Race.” On Monday, during the official observance of MLK Day, Michigan Tech students will visit local elementary schools to read from selected works highlighting the life, leadership, and lessons of the civil rights leader. The annual banquet will be held Monday night. In an effort to join the celebrations, the Van Pelt and Opie Library will be hosting a small display of books and images related to Civil Rights and Black History on the first floor of the library. In addition, the Michigan Tech Archives will post a call for participants for phase two of the Black Voices in the Copper Country – My Michigan Tech Experience Oral History Project. The oral history project is part of an ongoing effort to support diversity in the department’s collection development strategy. For more information about MLK Week celebrations at Michigan Tech, please contact the Center for Diversity and Inclusion at (906) 487-2920. 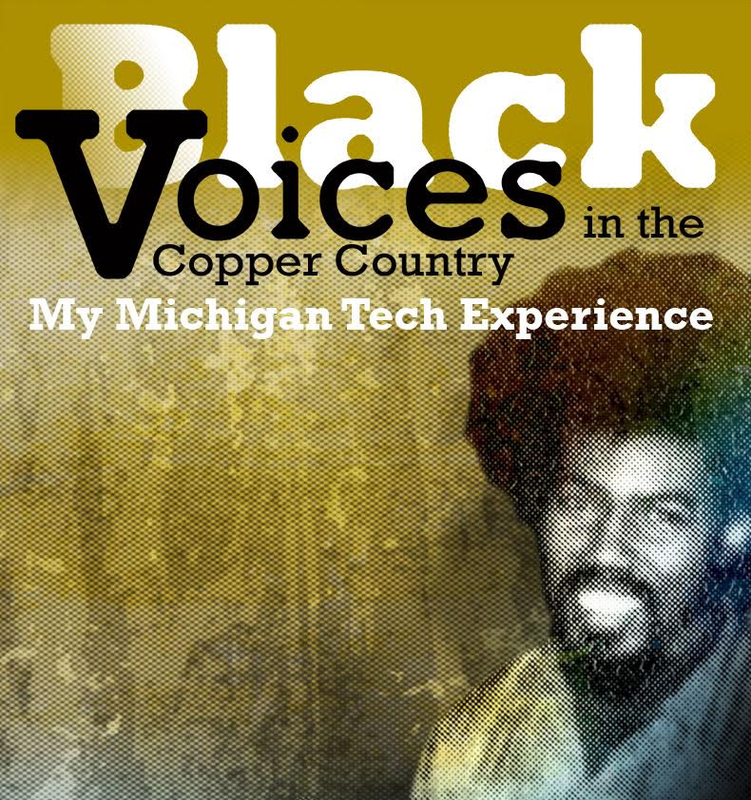 For more information about the Black Voices project or the Archives, please call (906) 487-2505 or e-mail copper@mtu.edu. Banner image for the 30th annual MLK Day Banquet, courtesy of the Center for Diversity and Inclusion. For more information about the event, visit the Michigan Tech Events Calendar. Tickets are free for the Monday night banquet but registration is required.